If you like s'mores than you will love what is inside these cute conversation hearts. 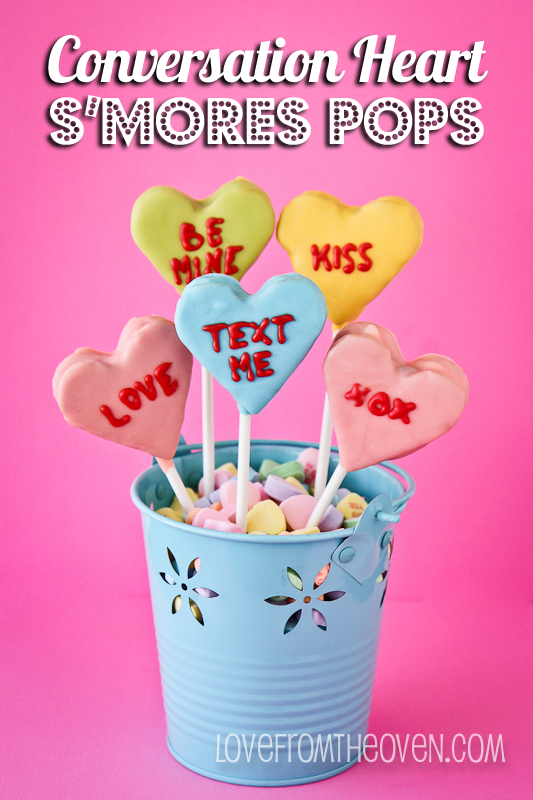 You can get the directions for these conversation heart s'more pops over at Love From The Oven. 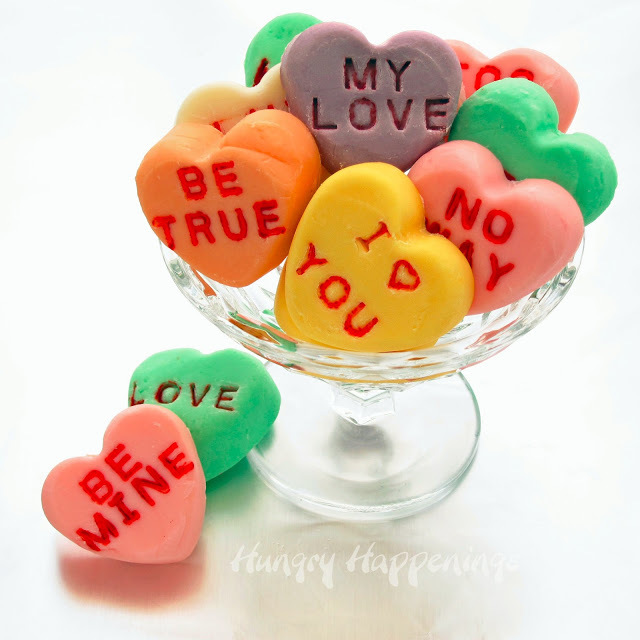 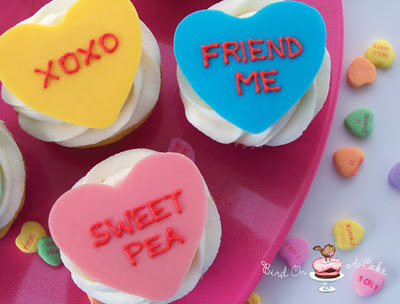 And these conversation heart cupcake toppers from Bird On A Cake can go on top of your favorite homemade or store bought cupcakes to give them a total one of a kind look!